[•••] Last Friday evening, scores of young people turned up at the Kaufmann Concert Hall in New York City to listen to both men speak on issues surrounding the need to be involved in activism. The discussion, under the theme ‘Breaking the Chains of Social Injustice’, was moderated by former CNN anchorwoman Soledad O’Brien. 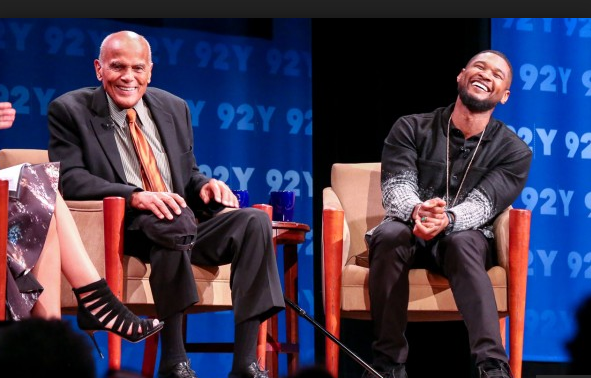 Civil rights activist Harry Belafonte made headlines last weekend following discussions he had with American R&B artiste Usher about popular culture and activism. Last Friday evening, scores of young people turned up at the Kaufmann Concert Hall in New York City to listen to both men speak on issues surrounding the need to be involved in activism. The discussion, under the theme ‘Breaking the Chains of Social Injustice’, was moderated by former CNN anchorwoman Soledad O’Brien. Belafonte, 88, suffered a seizure the evening before but was well enough to engage the audience in a riveting discussion, according to online sources. The entertainer charged his fellow musicians to remember that they have a social responsibility, a message he has been preaching for several years and which led to a falling out between himself and hip-hop mogul Jay Z.